How to have a successful family holiday. Single people or people traveling without young children enjoy your much easier to plan with fewer limitations holiday! Don't overschedule yourself on holiday. Think relaxation over sightseeing. And if there is some monument or museum that you just have to bring your kid(s) to, avoid an early ticket. Go out on your own to see the sights that you are most interested in and let your partner do the same. Get a place with a pool. This makes downtime so much easier and more effective. Don't stay out all day sightseeing. Come back to rest midday or early evening if you got a late start out. Memories over photos. Really look with your family rather than taking constant selfies. 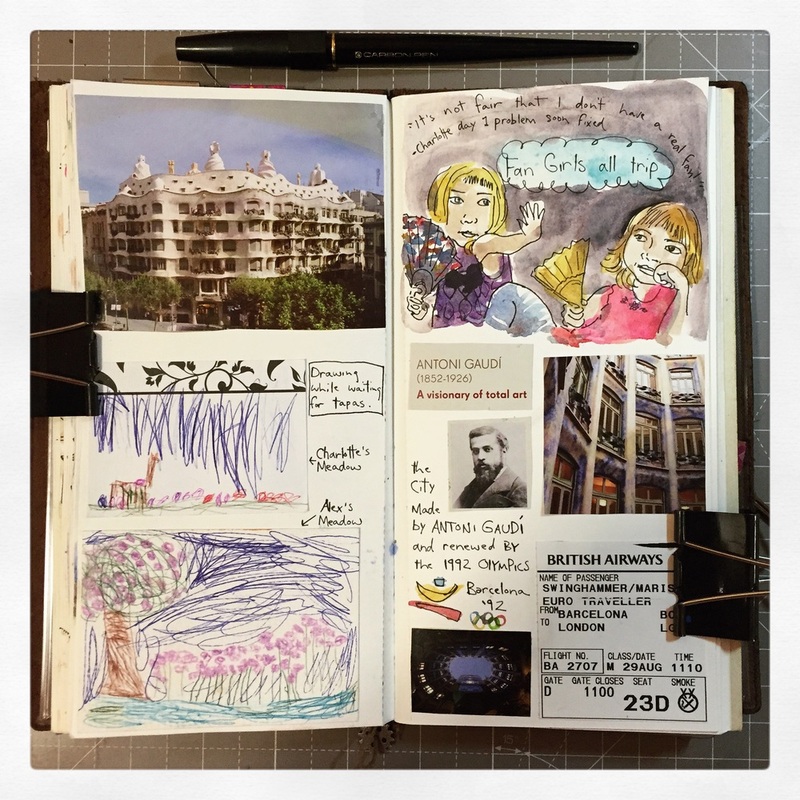 Draw and journal your trip as you go and finish it up at home with collected ephemera like handouts and tickets.